Thank you for purchasing the Gorebridge UFO Skywatch for your group of 1 to 3 people. Please check with ourselves before any payment is made to ensure that your chosen day has been set aside for you. All payments are taken in full in advance of the Tour date. Stargate Edinburgh Tours generally operates a ‘no refund’ policy. Should the evening UFO Nightwatch Tour be cancelled due to bad weather then a rescheduling of the evening will be arranged on a mutually agreeable date, weather again permitting. 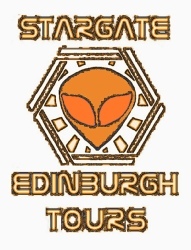 However, should Stargate Edinburgh Tours cancel any tour for reasons other than weather a full refund will be given or tour rebooked. Emailentered into the diary and our letter/email of confirmation [your ticket and receipt] sent out to you. 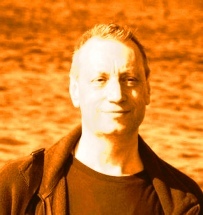 The Gorebridge UFO Skywatch generally operates weather permitting between April and October excepting weekends BUT special arrangements can be made with Andrew Hennessey your Tour Operator for other times of the week and year if you contact him on the above email or landline first. Events are entered into the Tours diary on a first come first served basis. There will be an opportunity to purchase refreshments. If you book the Tour you will be considered in agreement with the Tour Disclaimer. Please read the Disclaimer on the link provided. Please note that participants in all tours require appropriate outdoor clothing and footwear. A packed lunch can be brought or refreshments purchased. A disclaimer must be signed prior to departure.